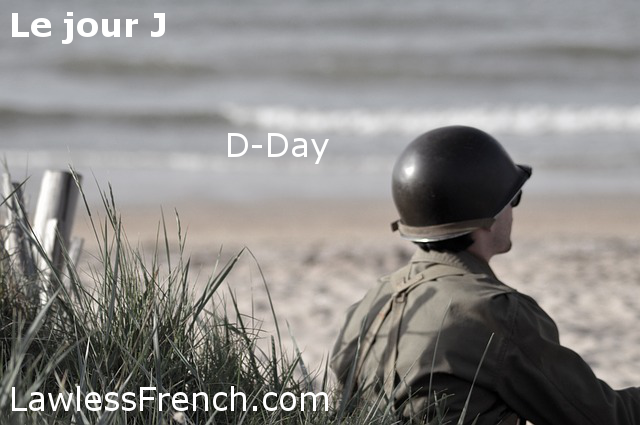 Usage notes: The original meaning of the French expression le jour J is D-Day: 6 June 1944, the day the World War II Allied forces invaded Normandy, France. This is also known as the Normandy landings – le débarquement de Normandie. The military terms le jour J and D-Day, along with l’heure H / H-hour*, indicate when an operation will occur. As you’ve guessed by now, the capital letter is just a repetition of the word: J stands for jour, D stands for day, and H stands for heure or hour. 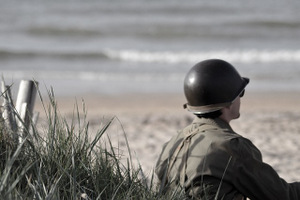 Le jour J and, to a lesser extent, D-Day can also be used by civilians, as a figurative reference to an important event, similar to saying "the big day" in English. While jour J can be used for happy occasions like parties, D-Day is limited to events that one doesn’t look forward to, like a deadline, perhaps because it’s easy to imagine D standing for doom or disaster. Le 4 août, c’est le jour J. August 4th is the big day. Le jour J est enfin arrivé ! The big day is finally here! In business, jour J can mean simply "current"; for example, le stock jour J means "current stock." * There’s also l’instant T – at a given moment. The T stands for temps. As far as I know, this is not used in the military, but rather physics.